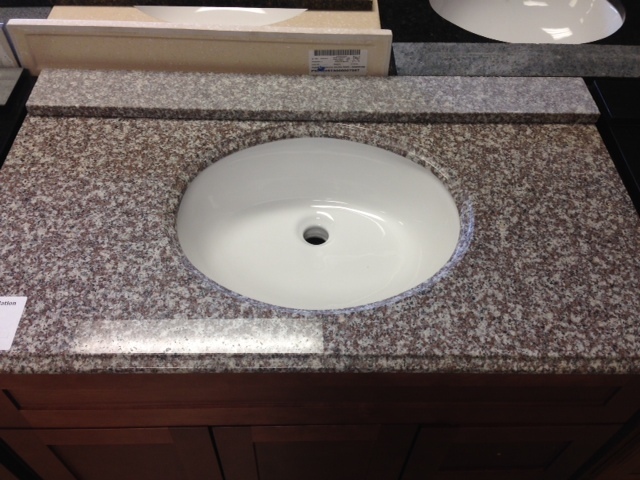 Bain Brook Brown Granite Top 37"
Bain Brook Brown Granite Top 37" - comes with white undermount sink and back splash. Has pre-drilled holes for faucet. The bathroom vanity cabinet is sold separately.